FORT COLLINS, CO Numerica Corporation is announcing a partnership with Carfax, Inc., to provide enhanced investigative tools to law enforcement agencies across the United States. Through Lumen, Numerica’s flagship platform for law enforcement investigations, analysis, and data sharing, agencies have an integrated portal to search hundreds of millions of law enforcement records, while also accessing Carfax ® Vehicle History Reports through Carfax for Police. Ready access to comprehensive information helps investigators solve crimes faster and close more cases. Law enforcement agencies can access Vehicle History Reports from Lumen whenever viewing a Lumen vehicle record. With one click in Lumen, users can view reports and access the full array of investigative tools available within Carfax for Police. There are no up-front costs or ongoing fees required for law enforcement access to Carfax. Lumen is an advanced analytics and data sharing platform specifically designed for law enforcement. Agencies seeking to integrate disparate data sources into a single, integrated, CJIS-compliant portal for investigations, analysis, and inter-jurisdictional sharing are turning to Numerica to meet their needs. For more information on Lumen, visit https://www.numerica.us/lumen. Since 1996, Northern Colorado-based Numerica Corporation has been a research and development small business leader solving some of the world’s most challenging information science problems. Our team of world class scientist, engineers and business professionals develop advanced mathematical algorithms and software for tracking targets, fusing data, managing uncertainty, optimizing operations, and integrating networks. Numerica’s technology solutions translate complex data streams into real-time, actionable information for U.S. Department of Defense agencies, NASA, law enforcement, and commercial customers. Numerica provides state-of-the-art solutions in the areas of air defense, missile defense, space situational awareness, cyber security, intelligence, and law enforcement. Numerica’s public safety products include Lumen, CJISvault, PROact, and RDW. Visit www.numerica.us for more information. Carfax, a unit of IHS Markit (Nasdaq: INFO), is the vehicle history expert for used car buyers, sellers and the automotive industry. Carfax created the Vehicle History Report in 1986 and continues to develop innovative services – like Carfax Used Car Listings and myCarfax – that make it easier to buy, sell and own a used car. The company maintains a database comprising over 16 billion vehicle history records from more than 92,000 sources worldwide. Based in London, IHS Markit is a world leader in critical information, analytics and solutions. Numerica was recently awarded a contract to deliver a public safety data warehouse and information sharing solution to the Colorado Information Sharing Consortium’s (CISC) 55 police departments, sheriff’s offices, and state level agencies. The Regional Data Warehouse (RDW) provides a centralized state-of-the-art data repository that serves as the foundation of law enforcement and public safety information sharing and analysis. RDW is designed to support the demanding data needs of modern public safety. It can integrate data from virtually any electronic source, including records management systems and jail management systems, license plate readers, court and offender management systems, and many other data sources. 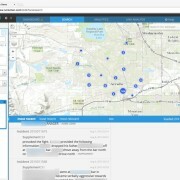 The system supports a vendor-agnostic interface to allow public safety agencies to connect multiple analytics and search systems into the RDW’s single data platform. RDW is a secure and flexible solution that can meet the data sharing needs of public safety organizations now and into the future. RDW is a scalable solution designed for regional data sharing initiatives servicing anywhere from tens to hundreds of agencies. Agencies seeking to improve data sharing capabilities, or replace cumbersome and expensive legacy solutions, are turning to RDW to meet their expanding data sharing needs. Visit www.numerica.us/rdw for more information. The CISC is a legal entity created to help its 55 member law enforcement agencies share and analyze huge amounts of data. Supported by Colorado’s largest agencies, the CISC provides three key services. First, it provides secure and reliable data storage. Second, to help agencies share and make sense of the data, it facilitates affordable access to outstanding data analysis software. Finally, the CISC connects Colorado agencies with others nationally to share data, promote greater agency effectiveness and make safer communities possible. Numerica Corporation, a research and development company building solutions for target tracking, data fusion, and sensor resource management, recently won a Phase III Small Business Innovative Research (SBIR) contract with the Army to support the transition of next-generation technologies into the Army’s Integrated Air and Missile Defense (IAMD) Battle Command System (IBCS). The IDIQ contract value is approximately $18.3 million, including all contract options. A critical requirement for the U.S. Armed Forces to protect national security is the ability to identify and track objects of concern in hostile operating environments, and coordinate resources to take appropriate defensive action. Numerica has supported the development of IBCS as a member of the Northrop Grumman led team since the program was awarded in 2010. This SBIR Phase III contract will support the continued development and transition of advanced technologies that aim to maintain a high level system performance in increasingly demanding threat environments. Since 1996, Northern Colorado-based Numerica Corporation has been a research and development small business leader solving some of the world’s most challenging information science problems. Our team of world class scientist, engineers and business professionals develop advanced mathematical algorithms and software for tracking targets, fusing data, managing uncertainty, optimizing operations, and integrating networks. Numerica’s technology solutions translate complex data streams into real-time, actionable information for U.S. Department of Defense agencies, NASA, law enforcement, and commercial customers. Numerica provides state-of-the-art solutions in the areas of air defense, missile defense, space situational awareness, cyber security, unmanned aerial systems, security analytics and more. Visit www.numerica.us for more information. 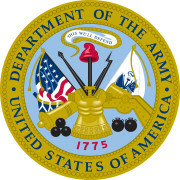 This material is based upon work supported by the Army under Contract No. W9113-15-D-0003. Any opinions, findings and conclusions or recommendations expressed in this material are those of the author(s) and do not necessarily reflect the views of the Army. Numerica is proud to support Detective Brandon Tong of the Hayward Police Department in the 2016 Police Unity Tour, and we wish the best of luck to all riders next week! The mission of the Police Unity Tour is to raise awareness of Law Enforcement Officers who have died in the line of duty, and to raise funds for the National Law Enforcement Officer’s Memorial and Museum. The 2016 ride will begin on Monday, May 9th in Whippany, NJ, and will arrive in Washington, D.C. on Thursday, May 12th. Last year’s tour raised nearly $2 million in support. Numerica develops software products for law enforcement customers, aiming to equip them with better access to information and ultimately help keep officers safe. We’re honored to support this great cause and all those who make it possible. Numerica Corporation and Analytical Graphics, Inc. (AGI) announce a partnership to bring new tracking technology to the space industry that will enable improved observation processing to significantly enhance the protection of government and commercial space assets. Under the new agreement, Numerica’s Multiple Frame Assignment Space Tracker (MFAST), a multi-target, multi-sensor tracking system for space surveillance, has been integrated into AGI’s Space Situational Awareness (SSA) Software Suite® to provide enhanced tracking capabilities for satellite owners and operators, as well as for space operations centers. MFAST processes data from a network of radar and optical sensors to help catalog newly-discovered objects such as those generated from colliding spacecraft or debris. Equipped with a more complete view of the space environment, the user can exploit this information to improve predictive capabilities and ultimately take more informed courses of action. MFAST was developed, in part, through the Air Force’s Small Business Innovative Research (SBIR) program. The agreement between Numerica and AGI represents a successful commercial transition of SBIR-funded research and development. Through this integration effort, the team has identified and implemented techniques to not only improve the MFAST tracking performance but also to reduce the software’s runtime. About Numerica Since 1996, Numerica Corporation has been a research and development small business leader solving some of the world’s most challenging information science problems. Our team develops advanced mathematical algorithms and software for tracking targets, fusing data, managing uncertainty, optimizing operations, and integrating networks. Numerica’s technology solutions translate complex data streams into real-time, actionable information for U.S. Department of Defense agencies, NASA, law enforcement, and commercial customers. Numerica provides state-of-the-art solutions in the areas of air and missile defense, space situational awareness, cyber security, law enforcement analytics and more. For more information, visit www.numerica.us. About AGI Analytical Graphics, Inc. delivers software applications and development tools for timely and cost-effective development and deployment of space, defense, and intelligence missions. AGI products are used for modeling, engineering, and operations in the areas of space, cyberspace, aircraft, missile defense, C4ISR, and electronic systems. For more information, visit www.agi.com. The presentation covered not only the technology itself, but also emphasized the value of collaboration between law enforcement and industry. This type of collaboration can shape the development of technology that can make a meaningful, positive impact in public safety. 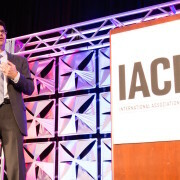 By leveraging our expertise in data science and collaborating closely with law enforcement, PROact was born, and was on display for the first time at IACP. PROact offers real-time, data-driven, strategic patrol coordination capabilities based on high-fidelity demand models. It’s a true testament to the power of collaboration for innovation, and another step forward for transformational law enforcement technology. Numerica Corporation is pleased to announce the addition of five new scientists and engineers to our team in the first half of 2015. Alex Ferris joins Numerica as a Software Engineer after previously completing an internship here. He earned his BS in physics and BA in mathematics from the University of North Carolina. Andrew Gagne joins Numerica as a Research Scientist. He earned his MS in engineering robotics from the University of Pennsylvania. Garrett Idler joins Numerica as a Research Scientist. He earned his MS in mechanical engineering from the University of Texas at Austin. Michael Mason joins Numerica as a Research Scientist. He earned his MS in electrical engineering from the Colorado School of Mines. Neil Wachowski joins Numerica as a Research Scientist. He earned his Ph.D. in electrical engineering from Colorado State University. Continuing the company’s growth trajectory, Numerica is looking for additional candidates with advanced degrees in applied mathematics, electrical engineering, computer science, statistics, and related fields in science and engineering. To be a part of our exciting future, please visit www.numerica.us/careers. Numerica recently won five new Small Business Innovative Research (SBIR) contracts, consisting of four Phase I awards and one Phase II award. The total value of the awards is approximately $1.2 million. The four Phase I awards are from the Air Force, and span a variety of research areas including battle management, space situational awareness, calculated air release point navigation for supply and munitions drops, and lightweight Doppler weather radar. The Phase II award comes from NASA to further our research and development activities to test and validate collision avoidance algorithms for unmanned aerial systems. The SBIR program is a highly competitive research program that encourages domestic small businesses to engage in Federal Research/Research and Development that has the potential for transition to Government and commercial customers. Each year, Federal agencies with extramural research and development budgets that exceed $100 million allocate 2.8 percent of their R&D budget to these programs. Currently, eleven Federal agencies participate in the program.